Brand new 4 track EP on 12inch with a stripped-down sound full of energy, soul and imagination. These guys celebrate a mind blowing mix of 60s RockPop, late 70s/early 80s Mod Revival/post-punk UK. But it doesn't stop here. Once again The Q capture that working class edge - the scuffles and annoyances from our streets and society today. Produced by Greg Haver (Manic Street Preachers) the songs are inspired by bands like the Damned, The Jam, Gang Of Four and the Godfathers to name a few." 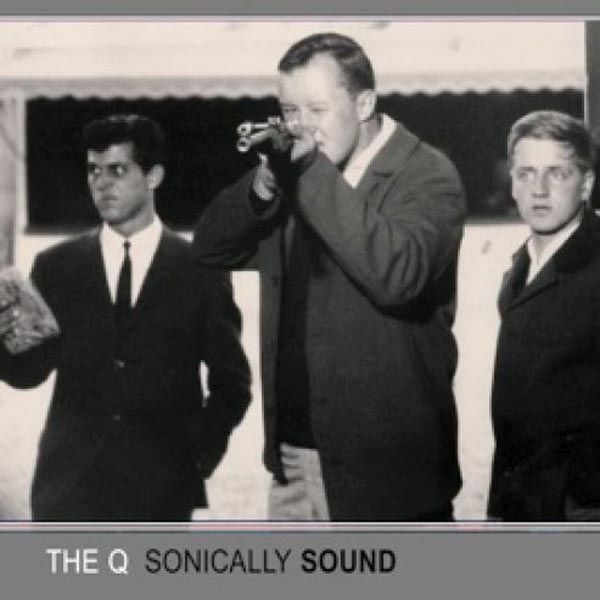 Thumping bass lines, solid drums, gritty guitar riffs and memorable melodies are the trade mark sound of The Q. Mixed in the Modernworld Studios , the album is an edgy, autobiographical look behind the story of the band. Each song has been written about or inspired by events that have happend to one of the band members. Significant life events from when the boys were "Growing Up" that have shaped their characters and the music of The Q into what it is today ! This album comprises 11 songs full of Mod, timeless Power Pop but also some Soul tinged tunes. 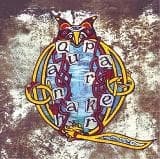 The Q first came to public attention in 2006 when they appeared on the Detour Records compilation album "Takin A Detour Volume Three". In the 10 years that followed theyve worked with internationally renowned producers Vic Coppersmith-Heaven and Greg Haver, performed across the UK, Europe and the USA and continue to steadily build an increasing following of loyal supporters that stretches across the globe. 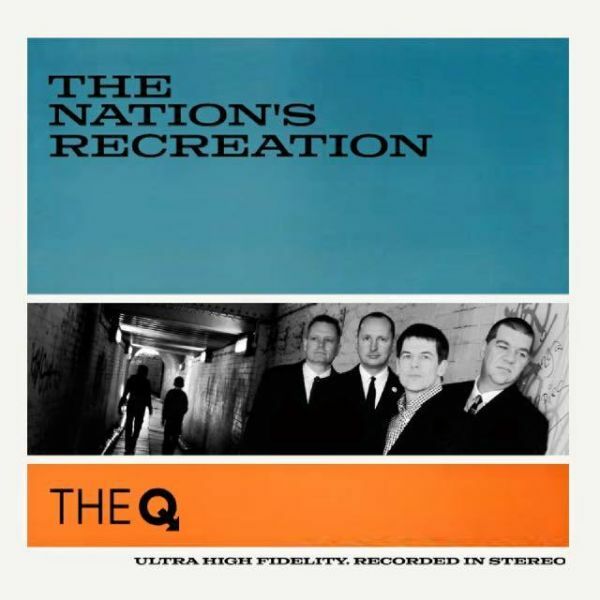 "The Nations Recreation" is the 4th release from The Q. Its a melting pot of power pop/rock tracks thatll send your blood rushing, your fists pumping and youre your feet thumping in time with the beat. 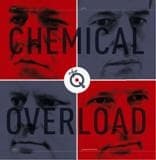 The Q combine inspirations of 60s melody and musical hooks with the lyrical social awareness of bands from the late 70s and early 80s to bring you memorable tunes built on classic foundations that are relevant to the mood of today. This is music for the masses. It will inspire, challenge and reward you every time you listen to it. 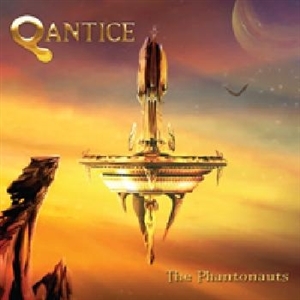 With the release of its first album The Cosmocinesy (Brennus) in 2009, QANTICE received a warm welcome from the Prog & Metal press and fans, but also extended its reach beyond Metal, selling over 1500 copies. In 2010, QANTICE hit the stages in their home country, France. Meanwhile, Tony and author Marie Fontaine put the finishing touches on the book La Cosmocinsie, a novelization of the first concept album, released through Editions Argemmios in 2012.New album : The PhantonautsFor their awaited new release recorded in 2013, QANTICE to go into hyperdrive and aim for the stars, recruiting Norwegian vocal sensation PelleK: 8 million views on YouTube and 100000 subscribers, solo album charting No2 on iTunes Norway, also singer in Damnation Angels who played at the last ProgPower (Atlanta USA).This follow-up to the The Cosmocinesy gathers other big names: produced again by Kevin Codfert, The Phantonauts was mastered by Jens Bogren (D. Townsend, Symphony X) and features guest appearances from Zaher Zorgati (Myrath) and Yossi Sassi (Orphaned Land).The result is 11 tracks of other-worldly epicness in which fantasy atmospheres meet jaw-dropping virtuosity and where a whole new meaning is given to the genre "Movie Metal". 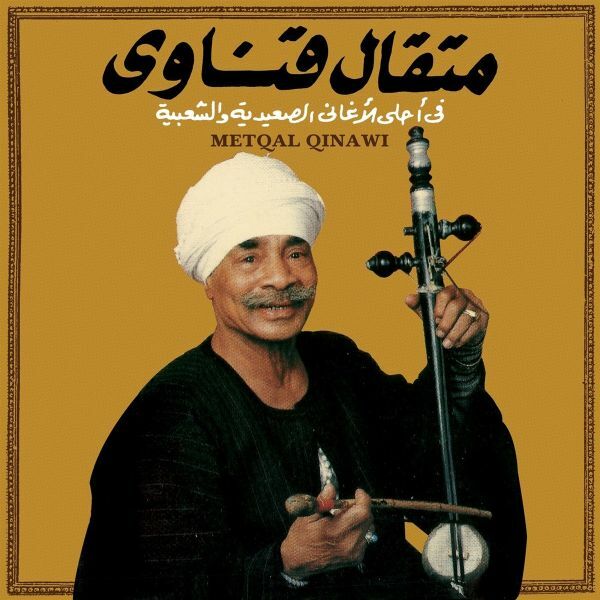 Metqal Quenawi, born in 1929 (Luxor, Egypt), also known as Met'qal, Metaqal Kinawi Metaqal, Metaqal Rebab Ensemble, Metkaal Kenawe or Awlad Metqal, developed an intense artistic career based on rescuing folk traditions from southern Egypt.Recovering the traditions of the Said, the southern region around Luxor, Qena and Asyut, Metqal was brought up on the customs of the Fellahin (agricultural labourers who passed on the age-old traditions of Egypt) disseminated across the nation by the rebab, an instrument of Bedouin origin, a type of violin, made out of coconut shell, wood, animal skin, with two or three strings and played with a horse hair bow.The themes he evokes are pastoral and rural visions and love and his compositions, written from the age of nine onwards, were received with enthusiasm, enabling him to move to Cairo where he met with great success and was in constant demand to play at celebrations like weddings.His many recordings disseminated and rescued in the 70s and 80s on multiple cassettes, made Metqal into a key reference in Egyptian music and took him to perform in Paris, where not only was he celebrated by the Egyptian community but also acclaimed by the cultural press. His work is as prolific as the number of offspring he had, 25 children from nine different marriages.Now the Akenaton label is presenting this legend to the west, who left the spirit of the Said ready for us to swing our hips to on the dance floor. QIRSH is band with 20 years of underground activity.This album sounds like a mix of different trips. 9 tracks (3 instrumental) for 9 trips with an original and imaginative sound, between italian seventies progressive, Pinkfloydian psychedelic rock, visionary new-wave. A steady breeze of melodic space-prog (also some Eloy's atmospheres) with double keyboards and surreal lyrics, close to the poetic of Franco Battiato"
"Antworten" ("answer") is the third instalment in a trilogy ofQluster music, following on from the "Fragen" ("question") and"Rufen" ("call") studio albums. The fact that the music on"Antworten" was created before "Rufen" and "Fragen" wererecorded is less of a paradox than it might at first appear. For the expansive piano fantasies of their 2007 recordings had already provided a clear answer to the two musicians question as to whether, and to what degree, they wished to collaborate in the future. Seldom has a musical duo been so united in heart and soul as Roedelius and Bock that January of evening in 2007.Their improvised nocturnes on two Steinways in the BerlinerPhilharmonie were delectable. Completely unplugged and utterly relaxed, Roedelius and Bock tossed musical ideas back and forth without pause, occasionally adding in the delicate tone of a distant singing bowl. Something rare, something wonderful happened in the course of this midnight session. 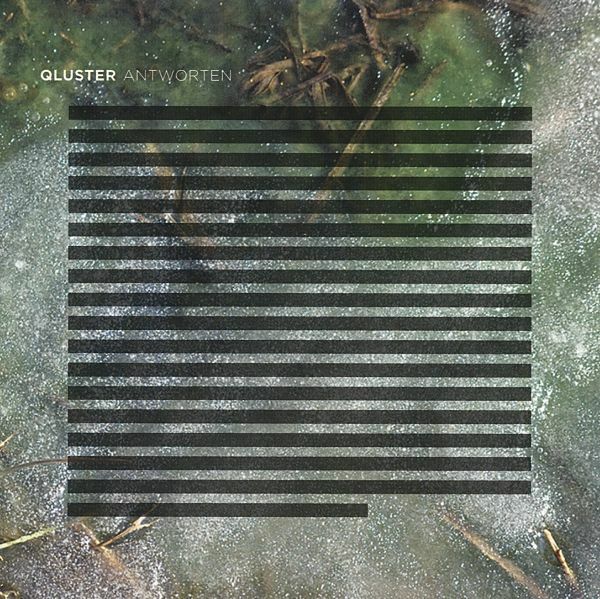 Two perfectly inspired virtuosos coalescing into one person-Qluster-speaking in one language to tell us of something which we no longer need to dream, as we can hear on "Antworten". The notes flow incessantly, yet they also convey peace and quiet, a balancing act of which only the most mature personalities are capable. 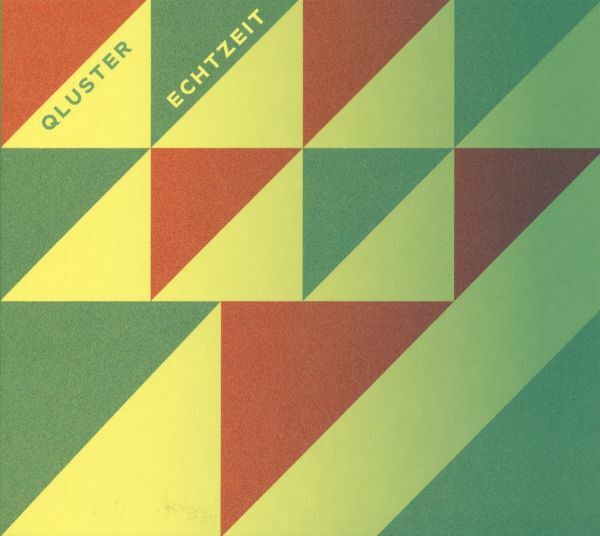 The third incarnation of the legendary Krautrock project Kluster/Cluster expands their audience with contemplative, mature and intelligent electronic music. 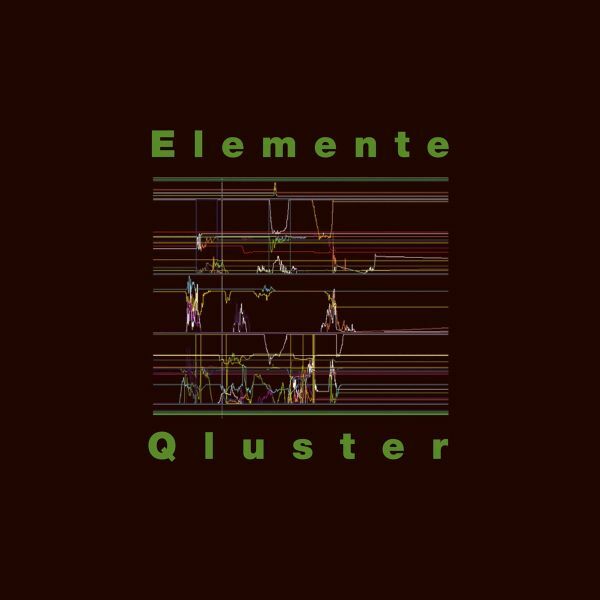 "Elemente" - album number seven from the third incarnation of the legendary krautronic project Kluster/Cluster springs a surprise with a minor sensation: sequencer lines! Using an array of exclusively analogue instruments, Hans-Joachim Roedelius, Onnen Bock and Armin Metz have recorded eight tracks which, at one and the same time, are intrinsically hypnotic and sublimely beautiful. The two Swiss VINCENT MEMBREZ and LIONEL FRIEDLIexplore new terrain as QONIAK: vintage analog sounds,free drumming, a singer up to every trick and astralguitars merge to a retro-futuristic blend of Electronics,Jazz, SciFi and Experiment.VINCENT MEMBREZ (keyboards) and LIONEL FRIEDLI(drums) are full-time (Jazz) musicians who alreadyplayed with CHRISTY DORANS NEW BAG, LUCIENDUBUIS or SOPHIE HUNGER - and for ten years nowthe two confederates give free rein to their exuberantcreativity and love of experimentation as QONIAK. Theresult sounds like far more than the sum of its individualparts, and stylistically this UFO is also diffi cult to locate:Electronics? Jazz? Sci-fi soundtrack? Avantgarde? Alittle of everything, and thats what makes it so incrediblyexciting to listen to. WFO is a loaded top fueled record of the finest cuts recorded by Auburn Alabama's Quadrajets, a band that thrived between 1995 and 2001. Triple guitar assault, beginning with twang and Fender heavy reverb, before culminating into maturity with the Tim Kerr produced records for Estrus, resulting in a chaotic southern rock excursive in energy. Alabama's own Motorhead meets Skynyrd styled rock n roll. The finest can all be found here, as many of the records are long out of print and difficult to come by. After their first album "Quanah!" released in 2012, which contained new songs and re-releases of historical compositions written in 30 years of wonderful career, here is a new album of this Venetian band led by Riccardo Scivales, great keyboardist and musicologist known worldwide for his work in composition and music transcription. With him Elisabetta Montino (Voice), Giovanni Pirrotta (electric and acoustic guitars and bass), Paolo Ongaro (drums and percussion) and the extraordinary participation of Alessandro "Unfolk" Monti (bass, flute, tablaa and sound effects). The album was recorded by Andrea de Marchi at Virtual Studio, mixed and mastered at Exit Studio Bebo "Best" Baldan.A great homage to the real Italian progressive rock, full of melody and magic moments as magic are the Fantastic Animals of this suite .....And also a tribute to Francesco Di Giacomo, the "big" singer of Banco del Mutuo Soccorso, whose inspiration lingers in all the wonderful atmospheres that this album can create ....The first 500 copies of the CD are in limited edition with foil gold to embellish the miniatures cover. 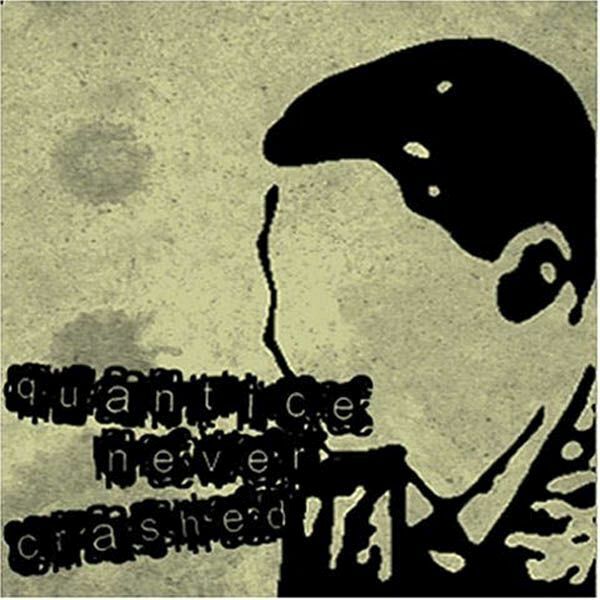 Besides all its complexity Quantecs album always remains a traditional Dub album. Which is a good thing. 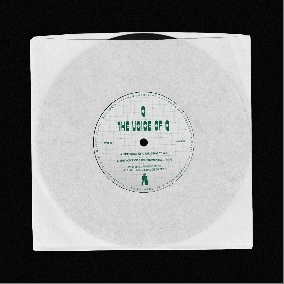 The different approaches of the tracks point to a greater understanding of dub as a production method that consits of much more than a typical trademarksound. Its not the effects that stand in the foreground but a way of fathoming the different forms of expression of Dub in electronic music. ,1000 Vacuum Tubes generates its special qualities from a deep understanding of a long history of Dub in Techno music. Quantec knows how to combine these elements to create a magnificient and timelesslongplayer. Treading equally between devastating onslaughts of crushing guitars accompanied by screaming vocals to clean melodies and spoken lines. Passionate, sincer, talented and determined, this young band has been turning heads lately. The next big bang of these Cosmonautic rockers, Progpunks, Belgian Ozrics and heavy trancedubbers. 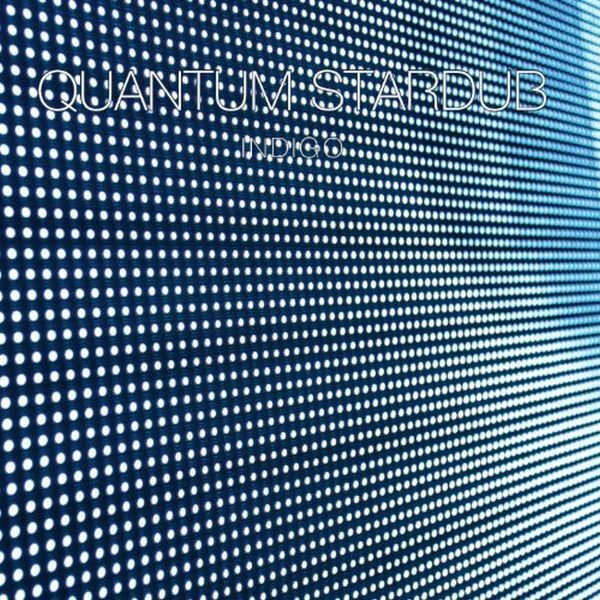 Dancing In Limbo is the 6th studio album of Belgiums finest Space Prog Rock band Quantum Fantay. One of the best if it comes to bring you the perfect mix of space rock and progressive rock music, they take you to an incredible dance trip.Combining ethnic instruments and bubbling sounds with their well known mixture of prog, space, dub and trance will move, shiver and surprise every music lover. This album also features a very special guest appearance by Pete Mushs friend and biggest idol - Ed Wynne from the Ozric Tentacles! 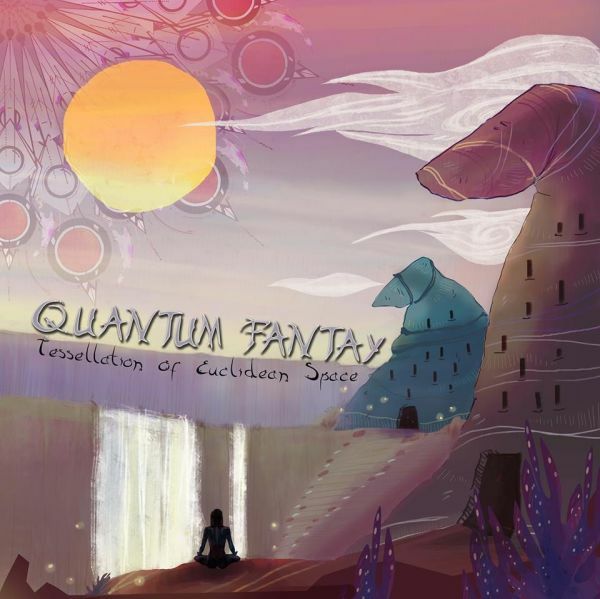 QUANTUM FANTAY -TESSELATION OF EUCLIDEAN SPACEBelgium's seminal Space Rock act Quantum Fantay return with their new album and achieve what only few bands are able to do: Looking to the past, but all the while moving ever forward, trying new grounds, expanding their frontiers.Tessellation of Euclidean Space sees the return of a full time flute player and the addition of a Saxophone, to enrich the already dense soundscapes which became their trademark in the past 15 years.Master-mind Pete Mush wrote songs that could have been the middle parts of long tracks by Yes or Genesis, but at the same time are Prog masterpieces of their own, spear-headed by the heart and soul of the album, the 20 mi-nute, four-track suite Skytopia. Once again, Quantum Fantay manage to address a new audience, without disappointing their long time fans! Indigo - not only is the mother of dye, having spread a very special, magicfascination over centuries. Here it represents the depth and coherence of asound, created by Dutch producer Martin Oude Kempers alias ,Quantum StarDub, setting the listener on a unique, almost meditative musical journey.The infinite depth of sounds and the mystic power of well composed tones on,Indigo create an indescribable ease and serenity. The amazing range and openness of the titletrack makes the listener be at one with the world. Also the track ,What Is Your Space brings across the feel of complete inner freedom, before ,Strong, ,Balanced and ,Its Gonna Be makes you look ahead tothe summerly fluffy tune "Dias Fuertes" with positive confidence. After being spiritually moved by those complex melodic strings in ,Attached, with ,Tell Me one can finally lean back completely relaxed and fulfilled. This is a trip into the indigo blue, stellar-dubby ambient universe, lovers of exceptionally electronic beats and perceptive chill out sounds shouldnt miss...! 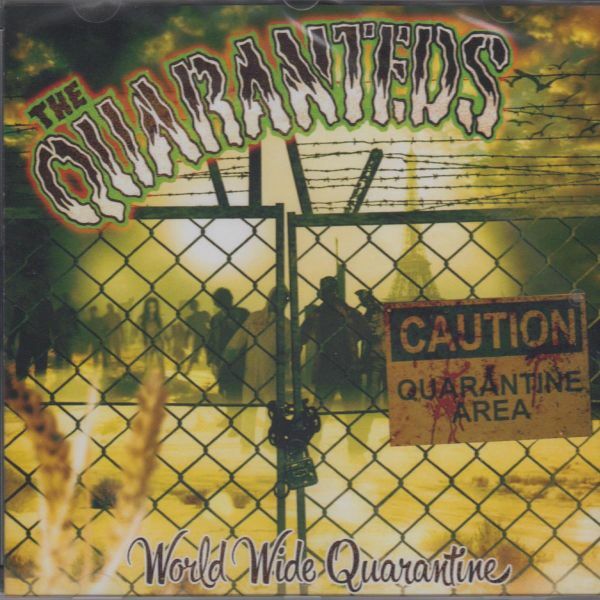 2nd release from the U.S. Psychobilly trio THE QUARANTEDS! The Quaranteds was started in 2005 in Los Angeles. With the intention to be a punk rockabilly band. Some members left and that's when we got Kris on bass and Robert on drums to fill the spots. We have played with bands like Nekromantix, Los Gatos Locos, Mad Sin, King Kurt, Hellbillys, Guana Batz, and Frantic Flintstones. The Quaranteds have played all over the Los Angeles area from the house of blues to the Henry Fonda, knitting factory and the airliner. Watch out when the Quaranteds come to your town it might get crazy! This is a beautiful collection of musical tales by renowned Canadian songwriter and author Paul Quarrington. Upon learning he had lung cancer in May 2009, Paul set about living life to the fullest and channeling his prolific creative energy into the completion of many artistic endeavors. Backed by some of the countrys most accomplished musicians, these songs offer a heartfelt blend of humour, reflection, lilt and candor. like listening to the great story-teller himself. Paul Quarrington passed away on January 21, 2010. This album is his last recorded work and his only solo release. Reissue of 1966 MPB album by Quarteto Em Cy / Tamba Trio. Lots of Acapella in the foregroundwith a decent portion of Brazil rhythm and Latin moods.